If there’s one thing I love it’s highlighting. 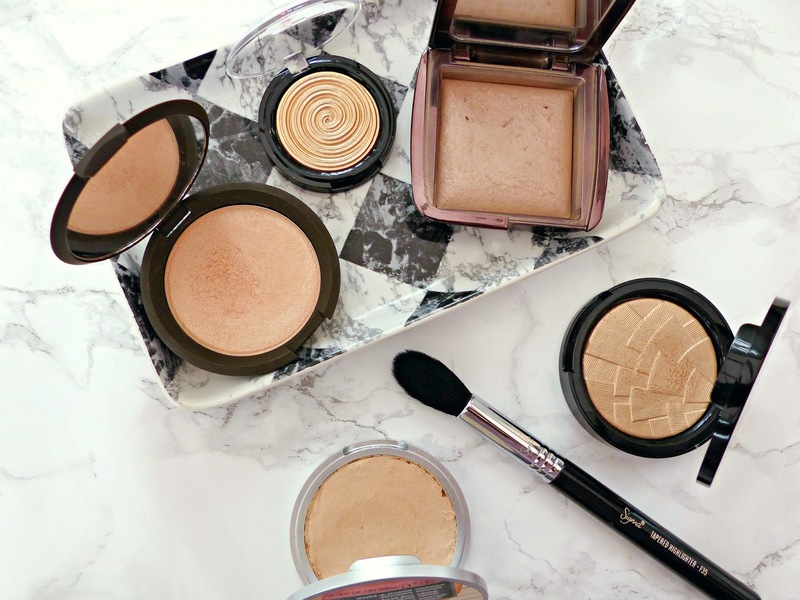 There’s just something so pretty about highlighter in the pan and I love adding a bit of luminosity to my skin. Winter is no different for me! 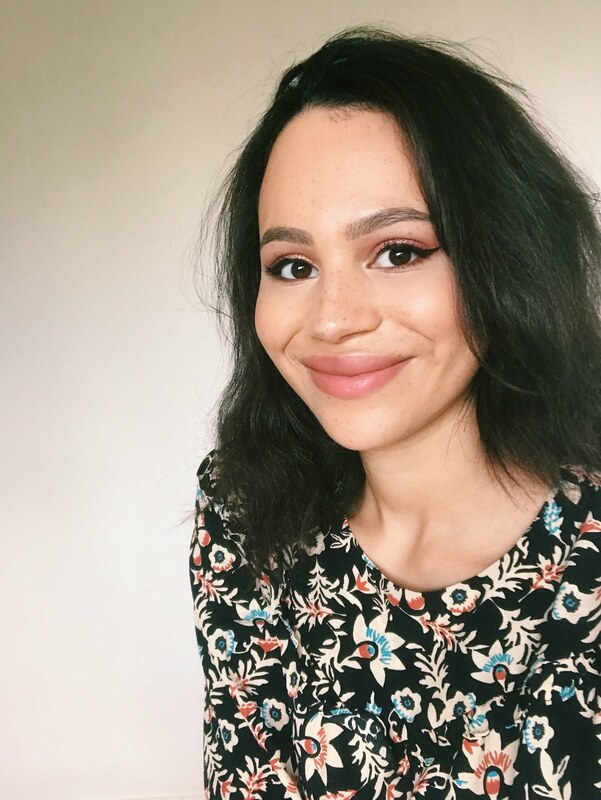 The main difference is that I don’t go for as deep bronze shades or as dewy of a finish as I would in summer, and I tend to go for powder over cream formulations. These are my top picks for adding some glow during the colder months. I’ll get the hard-to-get-hold-of one out of the way first! I picked this up in my Sephora haul (UK tax/shipping details and all that jazz is in the post) but it's been announced this will be landing in the Space NK very soon! This is my first one of Becca’s powder highlighters, after I gave up on Opal ever being in stock anywhere! It has the most gorgeous, smooth and intensely pigmented formula ever. It’s so easy to apply and blend in. It’s definitely very noticeable on the skin but can be applied with a duo fibre or fan brush for an everyday look. The shade is a gorgeous golden-champagne with hints of peach. Another product that wasn’t exactly easy to track down (due to incessantly being out of stock) is this pretty little highlighter by Laura Geller Beauty. I must admit I was surprised at how tiny this is for the price, but it is wuite nice to have something compact given how much I travel. Gilded Honey is a lovely true gold shade that doesn’t contain any glitter; just a lovely metallic sheen. Out of the true highlighters in this post, this is probably the most subtle as it offers a very natural luminosity. In before people scream at me that this isn’t a highlighter; I know! It’s more of a luminous setting powder. I definitely think it’s overpriced for what it is but I can’t deny that I use this a lot. On those ‘no makeup’ makeup days I reach for this over a tinted moisturiser as a proper highlighter would feel a bit much. It sets my makeup in place whilst offering the most natural ‘lit from within’ highlight. It isn’t anything dewy or glittery, it’s just a very natural radiance. Dim Light is a pearly neutral shade that doesn’t lean towards silver or gold so it’s perfect for a low-key look. From the most subtle to the most OTT in this list! This is my night out pick, when I want people to know I’m wearing highlighter. Although I know that most of my favourites look quite similar in the swatch image, this is definitely the most pigmented and it’s a little bit more champagne-y as opposed to being a straight golden highlighter. The texture of this is so gorgeous and soft, which unfortunately has led to me smashing mine and having to fix it! Sorry, it’s another inaccessible product! Though Cult Beauty have announced this will be restocked, so keep your eyes peeled. This isn’t what I expected from Anastasia (in a good way) and as I ordered online it was a bit of a gamble. Luckily it paid off, as I’d have been a bit gutted at £28 a pop! Again this is free of pieces of glitter (sensing a theme?) and just gives a stunning sheen. Although the colour payoff is good, it’s not as insanely pigmented as I’d expected from ABH. You don’t have to be terrified, gently swiping your fan brush across the surface as this actually gives a lovely natural highlight. It’s very similar to the Laura Geller, if you really can’t get hold of So Hollywood. By far my favourite brush to apply any highlighter with is the Sigma Tapered Highlight. The bristles always seem to pick up the perfect amount of product and the movement of the bristles makes it so easy to blend it out. The shape and size are also ideal for precisely applying your highlight. What are your winter highlighting favourites? *DISCLOSURE - ITEMS MARKED WITH AN ASTERISK ARE PR SAMPLES/GIFTS. ALL OPINIONS ARE MY OWN. I AM A MEMBER OF SIGMA AFFILIATES. PLEASE VISIT MY DISCLOSURE PAGE FOR MORE INFORMATION. P.S. I'm not blogging every day for Blogmas but I will be posting 5 times a week instead of 4 for all of December! Ah, so much sparkle and highlight in one post! I love the look of the Jaclyn Hill Champagne Pop, it's SO pretty. I realllyyy want to try Champagne Pop! looks sooo lovely! I just got my hands on Champagne Pop after reading so much hype about it, I think it's totally worth it's praises and it instantly become my new favourite highlight...and I've tried a lot of highlighters. It also helps that I have super pale skin so it shows up that little bit extra. I know zilch about highlighters so you are definitely the right person to turn to with this one! Your choices are truly gorgeous - especially the Becca one! Ah these all look so lovely! I can't pick which one I love the most because they all look so good! These all look so pretty in the swatches! Love the look of that brush for highlighting too, it looks like the perfect size! Champagne Pop looks like a stunning highlight shade - so pretty! I have Champagne Pop, Mary Lou and So Hollywood, and they're all so worth it, especially if you love a dramatic highlight. Champagne Pop was my first of the BECCA Shimmering Skin Perfectors, and now I have three. They're truly an addiction once you get hooked. 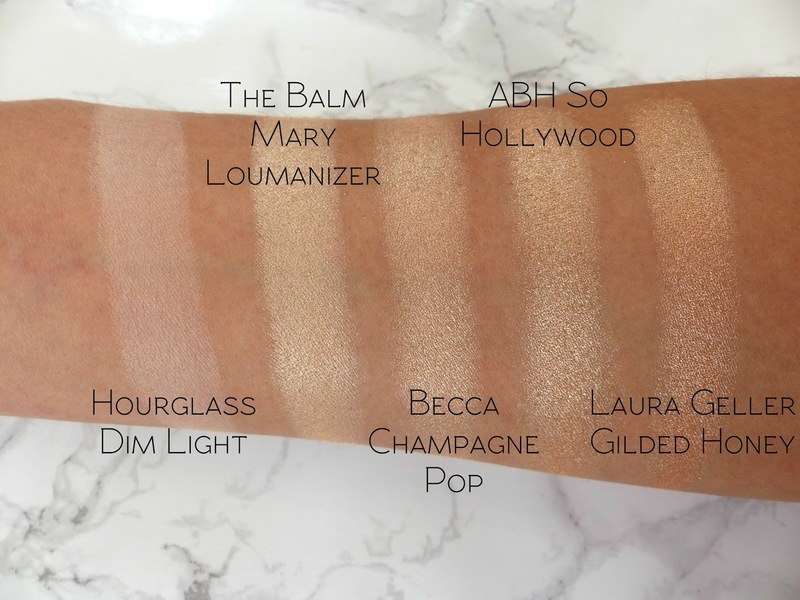 Wow the Balm Mary Loumanizer looks amazing! Not heard of that one before either! I've used three of these and I would totally agree with you -- they're excellent highlighters! I'm like you in that I really love glowing skin -- sort of almost like JLo. Ha ha weirdly enough she's sort of my makeup inspiration! Hi there hun, you getting ready for Xmas yet? This post is so tempting and all the highlighters look stunning! I would love to get my hands on all of these. Oh, so glad that you added a highlighting brush! I've been using highlighter sticks so haven't had a need for a brush yet but I recently picked up a Laura Mercier one and realized I wanted a brush specifically for highlighting but hadn't seen any recommendations yet. Will definitely check out that Sigma, thank you! 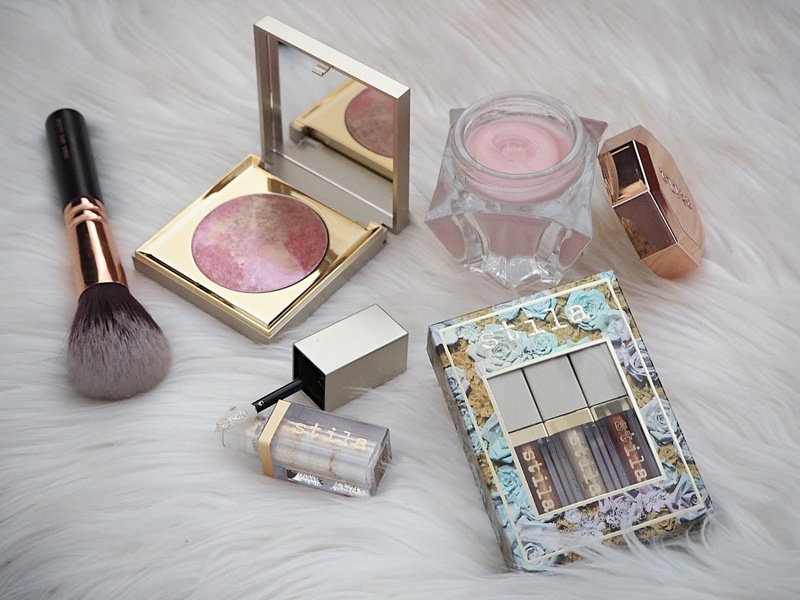 I'm currently obsessed with Lorac Bronzer but I will definitely give one of these a try! I love a great highlight.